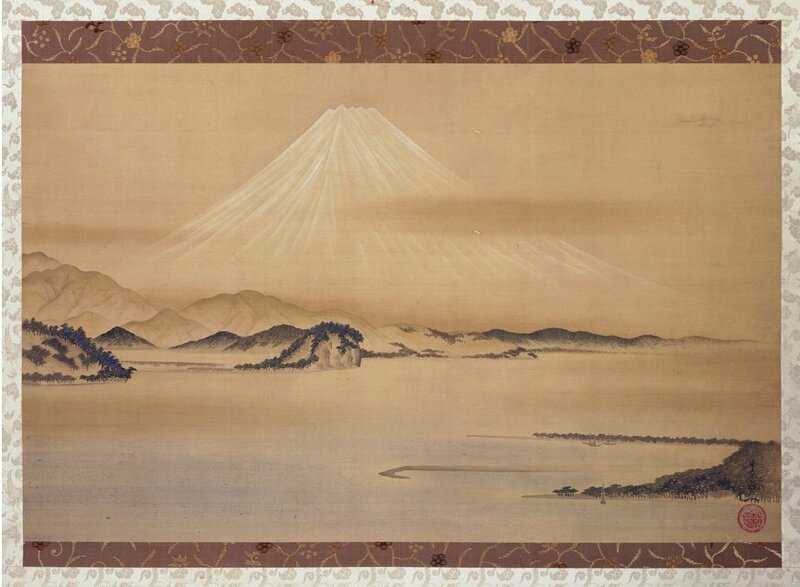 In the early art career of Sakai Hoitsu he studied at the famous Kano School and clearly culture, structure, patience, refinement and tradition became embedded within his artistic soul. 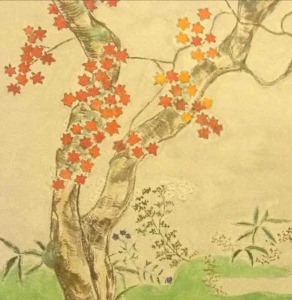 After this, he studied under Utagawa Toyoharu therefore ukiyo-e and new concepts entered his art. 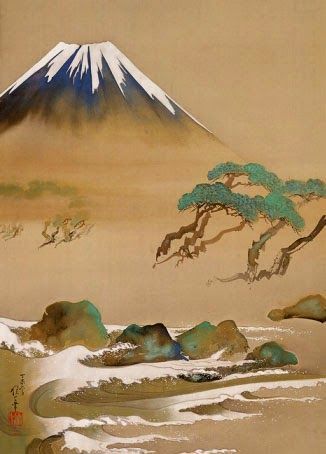 In 1797 the refined artist Sakai Hoitsu became a Buddhist priest therefore much of the latter part of his life was based on splendid seclusion. 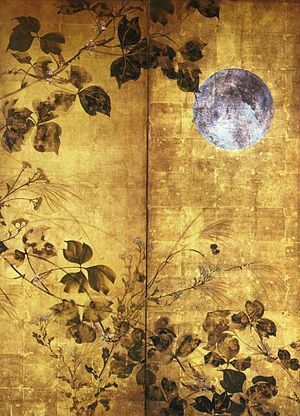 This reality also enabled him to focus greatly on Ogata Korin. 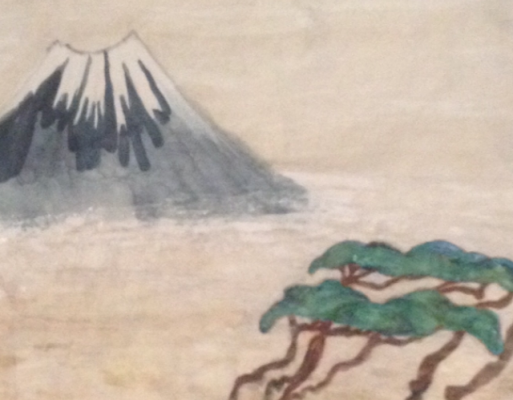 At the same time, Sakai Hoitsu also adored haiku therefore high culture ran throughout his inner soul. 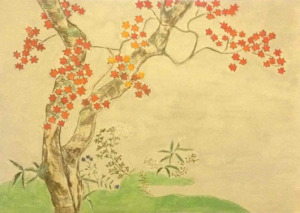 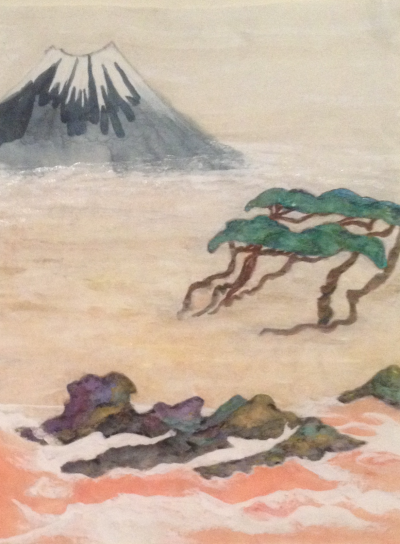 Sawako Utsumi equally adores many aspects of art, culture, nature and certain areas related to spirituality. 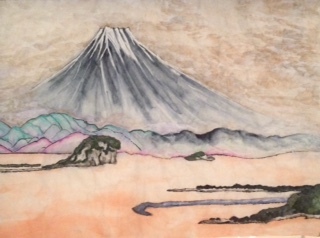 Equally important, this modern artist from the land of the rising sun fully understands the amazing art of Sakai Hoitsu and Ogata Korin. 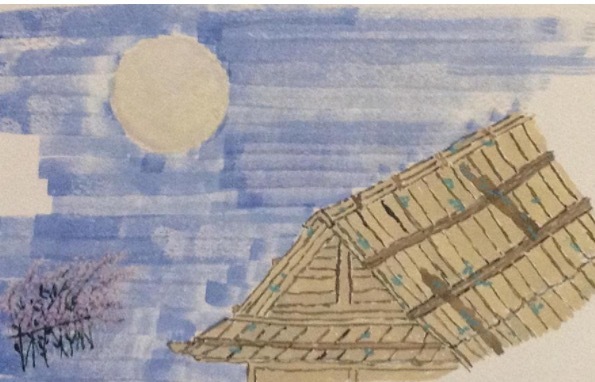 Therefore, her art piece titled “Modern Reflection of Sakai Hoitsu” is a natural reflection of her intriguing art.